WHAT IS REEBOK LES MILLS LIVE? Reebok and Les Mills will be all over the world in 2017 with the Reebok Les Mills Live tour! 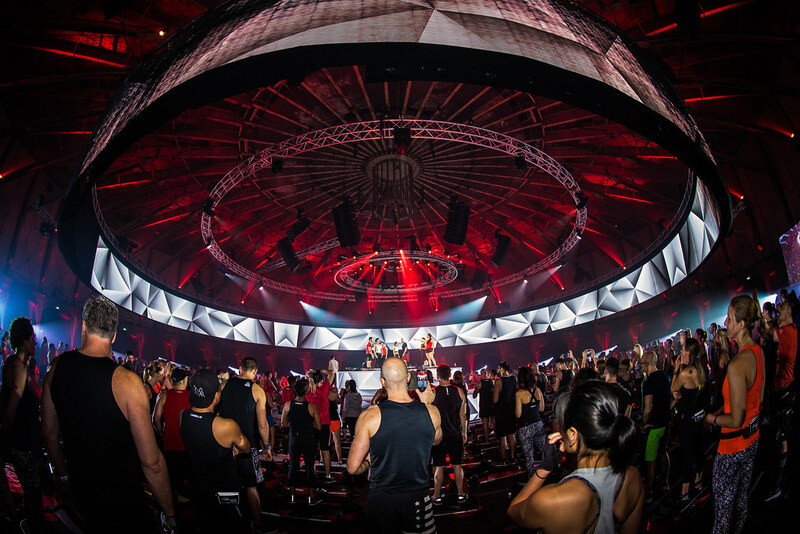 A unique event where thousands of Les Mills enthusiasts and fitness fanatics work out together. The good news is that this special experience will be coming to The Netherlands this year! On Friday 6th and Saturday 7th of October 2017, Reebok Les Mills Live Amsterdam will take place in the Westergasfabriek! A beautiful location at the centre of Amsterdam, where you can experience the latest fitness workouts presented by the Les Mills Program Directors (the creators of all Les Mills programs). The event can’t be compared to any other event, but think of it as a big dance event with a sporty insert! It will be a special experience where everyone moves to the same at the same beat. This creates a special sense of togetherness, what will give you just that little extra of yourself! Experience the overwhelming energy where the adrenaline will be pouring through your body. In addition, there is a wide range of interesting lectures, enough space to relax and let’s not forget about the dining and drinking possibilities!